Billy Jacobs captures the memories of an old country road, Summer In The Country. You'll almost hear the crickets! Pick the size that best fits your home. Our Frames are made of poplar wood painted black and assembled. Simply beautiful work! 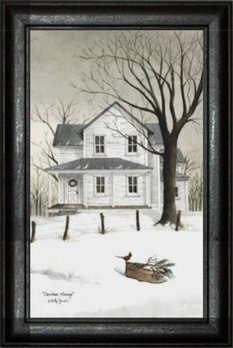 Thank you for choosing to shop with us and considering this beautiful print, Summer In The Country Print by Billy Jacobs for your home! Bonnie Fisher's Summer Start Barn Framed Print comes in size 16 x 12. 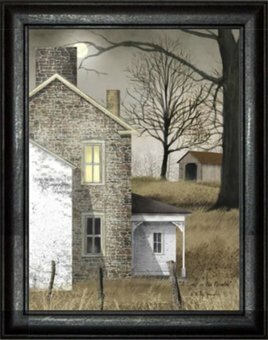 It has a lightly distressed frame, black with stained edges, no glass. This item ships from our supplier in 2 to 3 weeks in the continental United States.